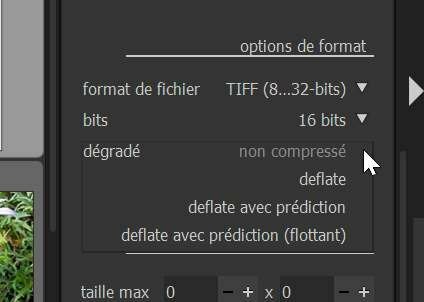 TIFF files can't be read by Topaz Sharpen AI with Beta 1.7.0.250. I get an error - "ImageImport::Wrong input image". I tried with several different images. This doesn't happen with the latest official version of Photo (1.6.5.123). As I recall, 1.7 changed to using a different TIFF compression algorithm, though it was supposed to be one that is compatible with more applications than the former LZW compression algorithm. Why not give the user the ability to chose the compression method and have a warning appear when choosing the new one as being potentially incompatible? Wouldn't that be better? The overwhelming majority of graphics software I've used gives you that ability. I have never seen one that shows a choice of the compression algorithm, but most I've used have allowed a choice of compressed or uncompressed. Remember it is a Beta product and there may be issues so therefore it should never be used for anything except testing, remember Sharpen AI works as a Plugin from AP both PRD and Beta. I think this was mentioned in passing. We ought to add a checkbox in the More export dialog to allow for LZW compression. I found some other apps that don't work with the new Adobe compression (Epson Print Layout to name one of them) so we need to make sure we don't break compatibility for anything or anyone else on release. Note that the LZW compression of a 16-bit image frequently generates a larger file than the same image without compression ... in this case, ZIP compression is preferable. On the darktable screenshot, deflate means ZIP compression. We've just added some TIFF compression options in the macOS version. I believe this should be available in the next Windows beta build. When this build is available, could you please go to File > Export > Tiff > More > Compression and change it from ZIP to LZW and let me know if this fixes the compatibility issue you were having with Topaz. As Sharpen AI is a very new product in the interim you can open the image in A photo and then call Sharpen AI using the plugin interface. We changed our TIFF compression in the beta. 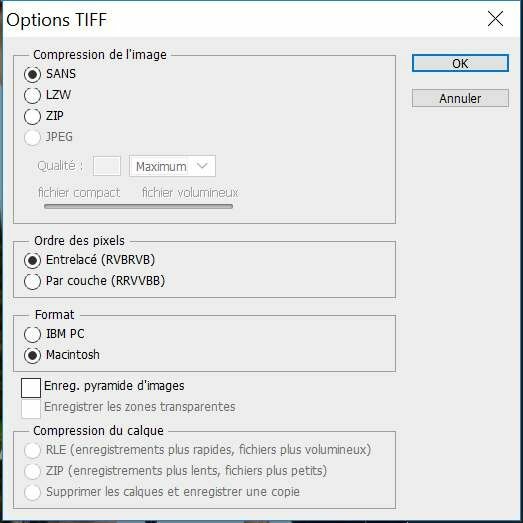 There is now an option on macOS to change the TIFF compression to LZW which should resolve this. We're just waiting for the fix to come to Windows.